There are so many beautiful things about being a woman. We're strong, resilient, and deal with embracing the not-so-nice things that come with our internal genetic makeup (like PMS) once a month. Research shows that over 90% of women deal with PMS symptoms before or during their period, which averages to as many as three in four women dealing with it on a regular basis. PMS symptoms occur when estrogen and progesterone levels begin dropping, causing women to deal with the physical and emotional ailments we know all too well. Every body is different, but this translates to symptoms like swollen or tender breasts, bloating, cramping, headaches, feeling tired, irritability, dealing with anxiety, and more. If your symptoms feel irregular, we strongly suggest you go see a healthcare professional. However, there are natural remedies for alleviating these symptoms that studies show have worked for ages; namely, taking specific vitamins can make that time of the month feel a little less uncomfortable. We tapped Alisa Vitti, an integrative nutritionist, hormone expert, period coach and best-selling author of WomanCode, along with Suzie Welsh, founder and CEO of supplement company Binto, to share the best vitamins to make PMS symptoms less harrowing. Take notes on their choices below. 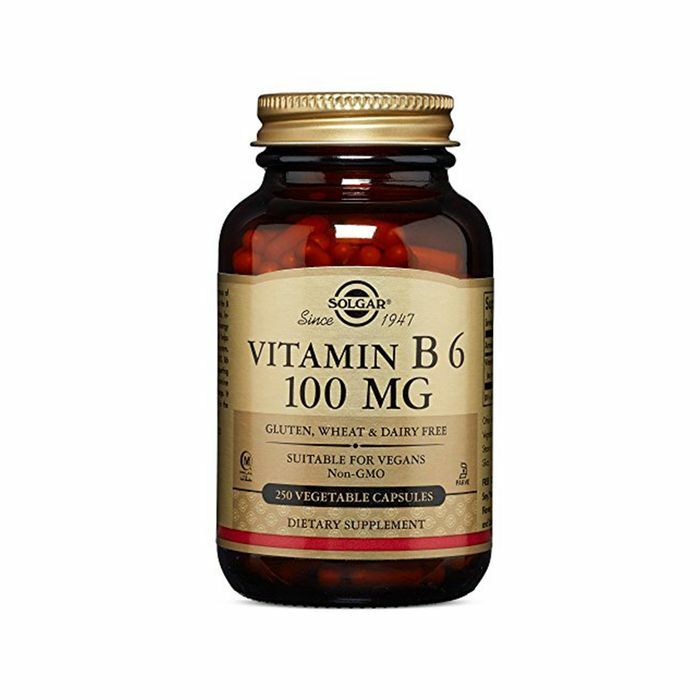 Vitamin B6 is just one of those do-it-all vitamins you should keep within arm's reach. It regulates serotonin and norepinephrine in your body, which are two mood-boosting and stress-relieving hormones. "Research suggests that B6, as well as ginger, can mitigate morning sickness," Welsh explains. "In a clinical study, B6, also called pyridoxine, was shown to alleviate the emotional symptoms of PMS, such as depression and irritability." Vitti also points out how B6 helps your body produce more progesterone to help recalibrate your system. "Progesterone deficiency can make PMS-related symptoms worse by exacerbating estrogen dominance, which is when estrogen in the bloodstream is high, relative to progesterone." According to Welsh, Vitamin B12 keeps your nerve and blood cells healthy, prevents a certain kind of anemia, and helps you make DNA. The reason why this helps with particularly heavy periods is because if taken as a daily vitamin, it will replenish your red blood cells. "A Danish study suggests that, when combined with fish oil, B12 can relieve discomfort associated with period pain," Welsh notes. Welsh calls magnesium a "busy" supplement because it keeps a lot of things running smoothly in your body. "It's involved in regulating muscle and nerve function as a natural muscle relaxer," she tells us. "It also controls your blood pressure, blood glucose, and heart rhythm, as well as [the development of] bones. There's research that proves the magnesium supplements can help relieve anxiety associated with PMS. When combined with B6, it may also alleviate menstrual cramps." Vitti echoes Welsh's sentiments and points out that many women are magnesium-deficient because of our on-the-go lifestyles and stress. "Magnesium helps balance your 28-day hormone cycle, eases bloating, encourages good sleep, and alleviates anxiety," she explains. DHA, often found in fish oil supplements, is an omega-3 fatty acid which boosts brain function. Vitti calls omega-3s an essential for mood-stabilization and for reducing cramps. "Omega-3s can aid in decreasing inflammation, and therefore diminish menstrual cramps," Welsh explains. "A study released in 2011 suggests that fish oil may actually be more effective in relieving cramps than ibuprofen." Vitti is on the same accord, and credits omega-3s as an essential for mood-stabilization and reducing cramps. Vitamin D not only helps with your immune system, bone health, and muscle health, it also regulates hormones in your body. Explains Vitti, "Healthy levels of vitamin D keep the entire hormone system stable and balanced." Similarly, Welsh points out that while high doses of vitamin D aren't available in as many foods, they're essential. 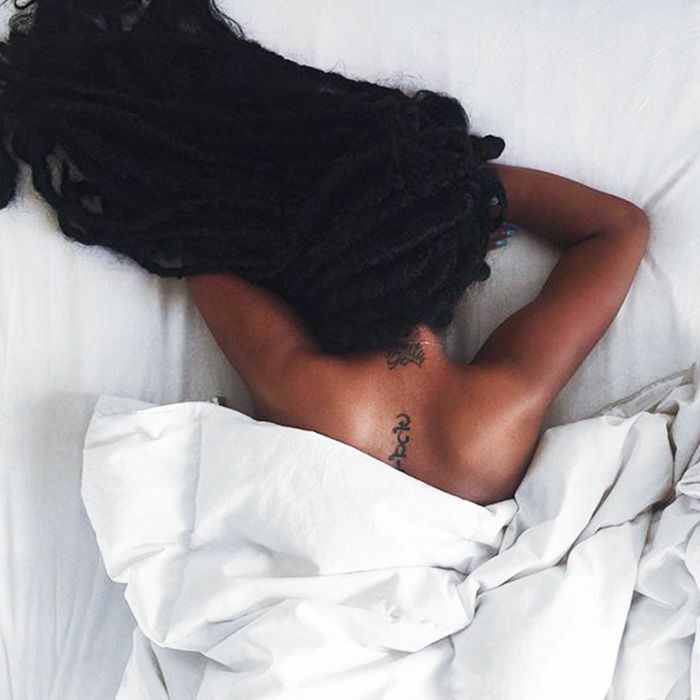 "Because Vitamin D has anti-inflammatory properties, it may relieve cramps when a high dose of D3 is taken, since it decreases the production of prostaglandins, a hormone-like substance that may be the reason we have cramps in the first place," she explains. Vitamin D also helps manage chronic diseases like type 2 diabetes (especially when combined with calcium). "When Vitamin D and calcium are combined with Metformin, which is a medicine that treats type 2 diabetes and is often given to folks with polycystic ovarian syndrome, they've been shown to manage symptoms of PCOS such as irregular periods and excessive hair growth," explains Welsh. Both Welsh and Vitti praise calcium for its PMS symptom-relieving prowess. A 2017 study indicates that taking calcium on its own can relieve menstrual pain. It's also capable of alleviating mood swings, fatigue, headaches and pre-menstrual acne. We all know how important gut health is to our overall wellbeing, This also applies to our period. "Because estrogen circulates throughout your entire body, it can get trapped and reactivated by a certain kind of intestinal bacteria," says Welsh. She continues, "When you have too much estrogen, that can result in a heavy period. There's also research implying that probiotics have a positive impact on stress, depression, and anxiety, which we know have a tendency to amp up during your period." A common symptom of PMS is sensitivity and tenderness in your breast area, but according to Welsh, vitamin E helps ease pre-menstrual pain here. "As an antioxidant, it protects breast tissue from inflammation," she explains. Remember our estrogen talk earlier? Vitti suggests trying this vitamin to help balance levels. Alpha lipoic acid helps the liver break down excess estrogen, which can worsen PMS symptoms if isn't regulated. Herbs, particularly vitex berry, will also help immensely with that time of the month. "This powerful supplement has been used by women for a long time," explains Vitti. "Vitex increases the production of hormones in the luteal phase [ed. note: the second half of your cycle] and offsets estrogen dominance by supporting your pituitary gland to make more progesterone on its own." This keeps everything from flaring up when our cycles begin. "This adaptogen is known as a general tonic for all women and called 'the female ginseng,'" explains Vitti. Women rely on this for its muscle-relaxing and pain-relieving powers, which are perfect for alleviating pre-period cramps and aches. Vitti points out that it's important not to use this powerful supplement during pregnancy, breastfeeding, or if you have a family history of female cancer. Primrose Oil is widely loved because it balances hormones. "Evening primrose oil helps with cramps, aches, pains, and headaches in the luteal phase," Vitti explains. Disclaimer: Be sure to consult a healthcare professional before taking these supplements and to determine the correct dosage for your individual body. Next up: These are the 14 foods to eat (and avoid) on your period.